It’s not often you get the chance to pick at a house BEFORE the estate sale…so I was super excited that my good friend Lisa was giving me this opportunity at her mother-in-law’s house. Her mother-in-law had already moved out and various family members had already taken stuff or put dibs on things, so it was like a liquidation estate sale (with 70% of the stuff gone), except that this house was much cleaner and more organized! Lisa gave me the tour and the keys and headed off to an appointment leaving me to it! The idea was that I could take what I wanted, lock up the house and settle up with her later. How cool is that! The kitchen cupboards were full of pots and pans and glasses, but in general I don’t deal much with kitchenalia. I’m probably missing an opportunity here, but unless something is high end like Le Creuset or super rare like “Lucky in Love” pryex or cool vintage like ’50s high ball glasses with crazy patterns, I’m not interested. 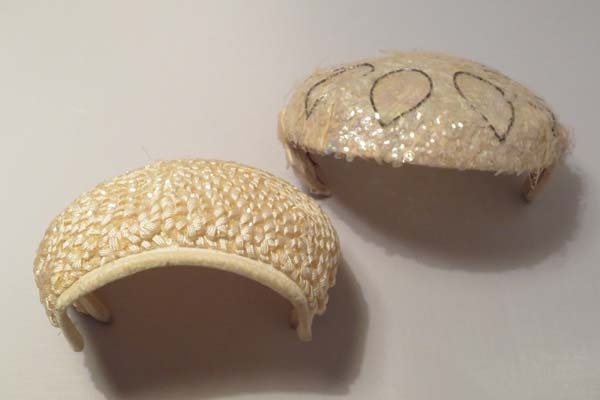 There were lots of cream-colored Lenox bud vases. Pretty and nice quality, but a quick Google search showed me that there are tons for sale and most sell for under $15.00. I also passed up some pretty Japanese china, crystal collector’s bells and table linens. 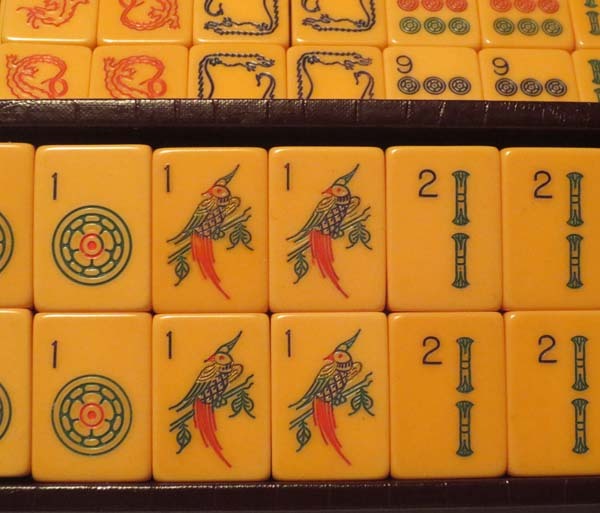 A super, vintage “Perching Pheasant” bakelite mahjong set in faux alligator case by MET Games, NY. I’m doing a lot of research on this item as some of these can sell for $$$. A vintage Triad maple wood cribbage game in box…not worth much on its own (currently they sell for $5 – $15) but I’ll pair it with a few other vintage games when I list it. Are-Jay Triad Cribbage Board. Have added this to several other vintage wooden games (checkers and dominoes) to create a nice lot. 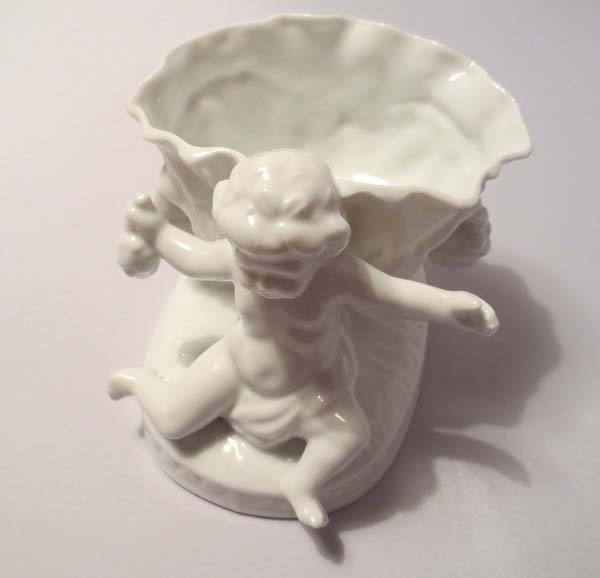 An old “Made in Japan” china dish with a cherub and grapes. Found this hiding in the linen closet with a couple of razors in it. Kinda wacky and kinda cute. Seems a perfect fit for someone with French decor. An old crocheted bedspread. I’m fond of crocheted items and though I passed up some crocheted table runners and doilies as being too out of vogue, I think bedspreads are still desirable for romantic and country decors. Perfect for summer. 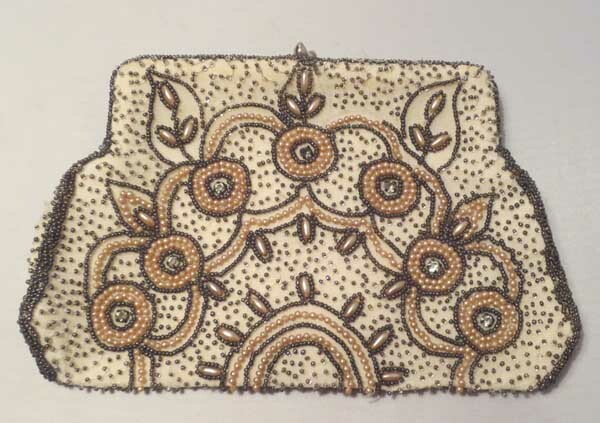 An old beaded purse from Belgium. There’s a little bead loss in the upper right area, but it’s still a usable beauty and I think the right person could fix this. Beautiful Belgium purse with a strand of bead loss. There were a few other smaller things I couldn’t pass up, including a chunk of rock with mica that I might tuck somewhere in my garden. Once I locked up the house and got my bags of goodies home, the tough part began…researching my items and looking at past sales and current listings to determine what price I could sell it for and what payment would be fair to my friend. I went back and forth on several things. In the end I offered to pay more for some things than I normally would have, but I think I’ll still make a good profit. Honestly, it was just so fun. There was no rushing. I could take my time. Look at things carefully. Do a bit of research on the spot if I wanted to. The funniest moment was when I was looking at things in the living room and the grandfather clock about four feet from me started chiming. In this quiet house it sounded like Big Ben and I jumped a foot off the floor! Next Monday I have another personal pick scheduled with someone else…and I know she has fabulous stuff. Such interesting pieces again! I don’t even play may jong but what a nice set. We (Gaylord and I) both enjoyed reading this and seeing your fab finds, Karen. Just so you know, I always enjoy hearing of your hunts for vintage. Makes for interesting reading!